Throughout history epidemic diseases have presented a serious threat to human life, and in recent years the spread of infectious diseases such as dengue, malaria, HIV, and SARS has captured global attention; and in the modern technological age, the proliferation of virus attacks on the Internet highlights the emergent need for knowledge about modeling, analysis, and control in epidemic dynamics on complex networks. For advancement of techniques, it has become clear that more fundamental knowledge will be needed in mathematical and numerical context about how epidemic dynamical networks can be modelled, analyzed, and controlled. This book explores recent progress in these topics and looks at issues relating to various epidemic systems. 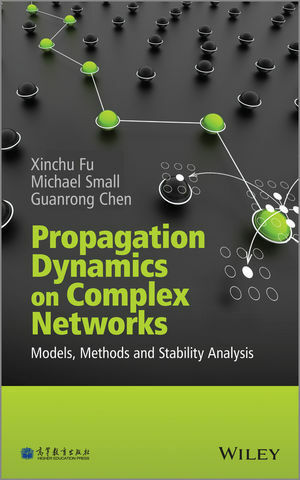 Propagation Dynamics on Complex Networks covers most key topics in the field, and will provide a valuable resource for graduate students and researchers interested in network science and dynamical systems, and related interdisciplinary fields. Includes a brief history of mathematical epidemiology and epidemic modeling on complex networks. Explores how information, opinion, and rumor spread via the Internet and social networks. Presents plausible models for propagation of SARS and avian influenza outbreaks, providing a reality check for otherwise abstract mathematical modeling. Considers various infectivity functions, including constant, piecewise-linear, saturated, and nonlinear cases. Examines information transmission on complex networks, and investigates the difference between information and epidemic spreading.